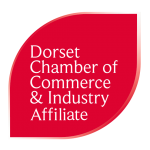 As part of a government-funded initiative, Dorset businesses are being offered an innovative online digital marketing course – for free. Those who sign up to the nationally accredited course, Digital Promotion for Business, will also receive their own tailored free smartphone app worth up to £3,000 at no charge for free. Two courses are being offered by digitalDorset as part of a Weymouth College initiative. These are part funded through the European Social Fund and Skills Funding Agency and delivered by working in partnership with SERCO in the Dorset Local Enterprise Area. The courses aim to improve the skills needed to increase the competitiveness of businesses and give the best opportunity to grow the economy and create more and better jobs. digitalDorset’s Level 2 NCFE accredited distance-learning course aims to meet the demand for digital media for businesses and is online so employees can complete the course at their own speed. Content includes help on how to use more effectively social networking sites such as YouTube, Twitter, Facebook and LinkedIn to boost a business’s online presence. The other funded course is the Level 1 Mobile Phone Applications (Apps) For Business. This course, which has five units, gives learners an understanding of smartphone apps, shows them how to develop relevant features for their business, make amends and add new features and finally how to market that app so it can be found by prospective and current customers. These include push notifications – free messages sent out to people who have downloaded the app – and a loyalty scheme to retain custom and social media integration. This is an opportunity for businesses to maximise their workforce’s social media output. Research has shown that the average user now spends 80% of their time on native apps and only 20% on the mobile browser – making apps the preferred platform for consumers.